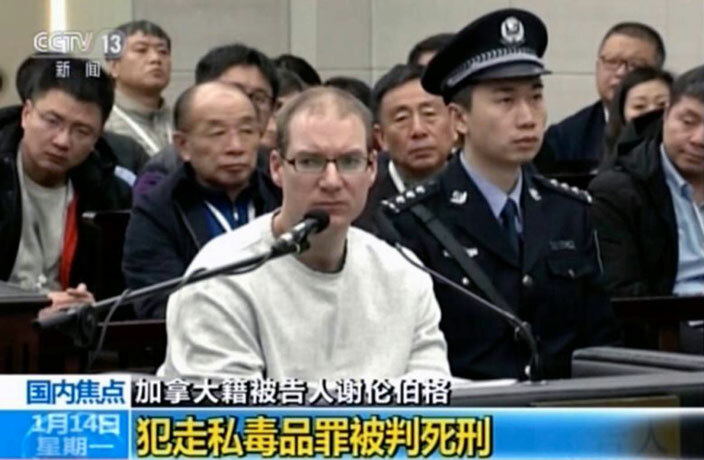 Robert Lloyd Schellenberg, the Canadian who was sentenced to death in China on January 14 after being convicted of organizing international drug trafficking, has been found guilty of drug crimes before, according to a report by the Abbotsford News. Schellenberg, who was arrested in 2014 on drug trafficking charges in China, has a criminal record that dates back to 2003, when he was arrested for possession for the purpose of trafficking. He was also arrested in 2012 in Canada for possession of cocaine and heroin for the purpose of trafficking, it has been revealed. Schellenberg was told by a Canadian judge at the time: “Your country deserves so much better from you. You are in one of the best places in the world to live,” as reported by CBC. Police found him in possession of cocaine and heroin, as well as marijuana resin and methamphetamines after raiding his home in Abbotsford, British Columbia. He was struggling with addiction at the time of his arrest. He was sentenced to two years in a Canadian prison, serving 16 months and 12 days due to time already served while awaiting trial. He was released in mid-2013 and traveled to Dalian in northern China in late 2014. He was later arrested in Guangzhou for his connections to an international drug smuggling operation. He allegedly attempted to organize the smuggling of 222 kilograms of methamphetamines into Australia. Schellenberg was first sentenced in November of last year to 15 years in prison. The Canadian appealed the sentence and a high court then ordered a new trial in December, after prosecutors claimed they had new evidence in the case. Schellenberg was retried on international drug smuggling charges in Dalian Intermediate People’s court yesterday and was subsequently given the death penalty. On Tuesday, Canada issued a travel advisory update for Canadians who are visiting China, telling travelers to the Middle Kingdom to exercise a high degree of caution while in the country. Lu reappeared on March 26 and was transported to hospital.